If you've had enough of fighting the same uphill battles without the proper support, we're here to help. At High Performance Packaging, we don't just know how our used packaging equipment works inside and out—we know how people work. We're there for you from start to finish, so whether you're trying to figure out which equipment is the best fit for your existing machinery or troubleshooting an issue, we can help. We'll even work with your staff so that your operators are fully trained in your equipment, helping your line run more smoothly and improving your overall performance. At High Performance Packaging, our specialty is boosting your performance levels and increasing your productivity by up to 50 percent. That's because we don't just sell used packaging equipment. We don't even just refurbish it—we know everything about it, and we share that knowledge with you and your staff. 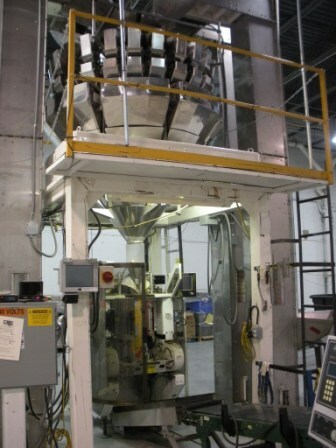 With more than 25 years of experience with used VFFS and HFFS packaging equipment, we have the hands-on understanding and technical know-how that helps machines and the people that use them reach their maximum potential. We know all of the industry's biggest baggers, weighers and fillers, and we'll optimize all of yours in a single visit. Whether it is usedHayssen equipment or machines from industry names like Yamato, Matrix, Ishida, Combi, Bartelt or others, we have the expertise to set you up, train your team and increase your productivity. We repair, rebuild, modify and ultimately improve the any used packaging equipment we sell, so you're being taken care of by a name you can trust. Call us now to find out how we can fix your problems and optimize your line!